The Learning Tower in Natural Wood - This is the perfect way to nurture your child's imagination and desire to be independent while allowing them to work alongside you and their siblings. 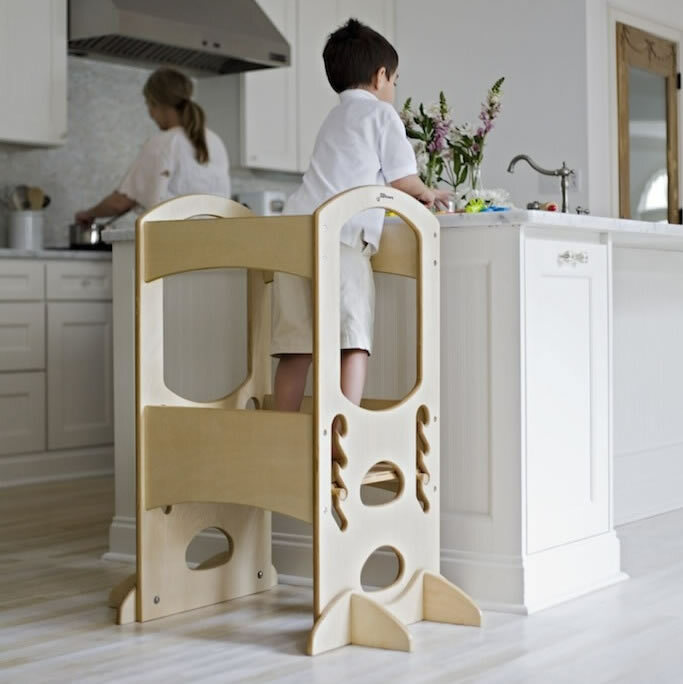 This is the only step stool on the market that is height adjustable and will grow with your child from age 18 months to 6 years. 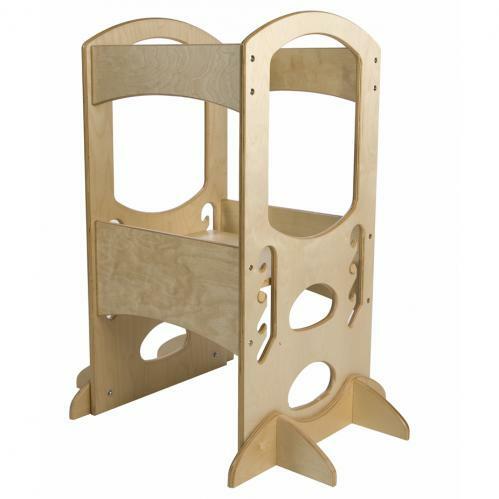 The Natural Learning Tower is very safe featuring four side railings for safe climbing, a large 15" x 18" platform that allows them to move around without slipping off the step and fits directly up against the counter for safe access. 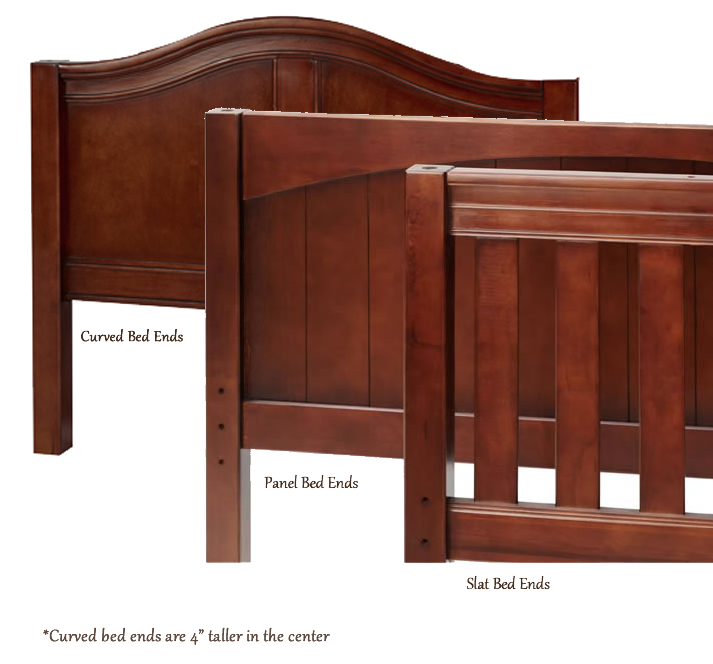 This Learning Tower is made of the highest quality layered birch and has been tested up to 500 lbs. Add on the Art Easel! This cool gadget attaches right to the side of The Learning Tower and becomes twice the fun with a chalk board on one side and a dry erase board on the other (view thumbnail photos). 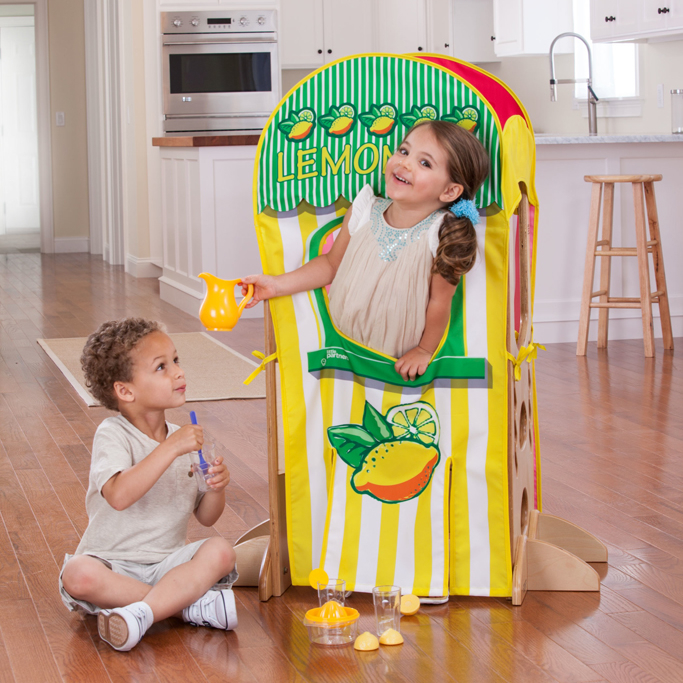 Both sides are magnetized and a magnet comes with the Learning Tower Art Easel to hold paper in place. 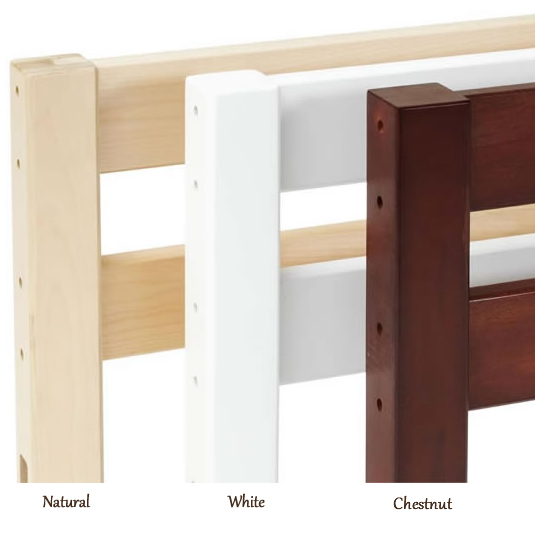 Order your Learning Tower Art Easel to match your Learning Tower in Natural or mix in one of the other 8 color options for a fun and colorful look. 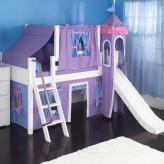 When assembled, the easel is 18.25"W x 23.5H x 5"D.
Add on the Playhouse Kit! 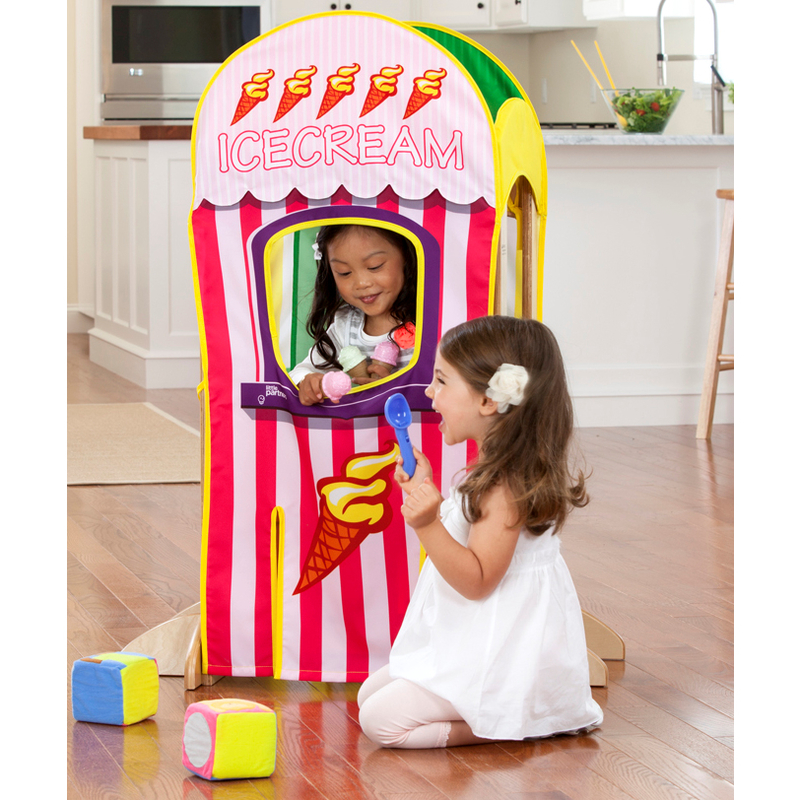 Turn your awesome Learning Tower in Natural into a playhouse, Puppet Theater, doll house, drive-thru or Lemonade Stand (view thumbnail photos). 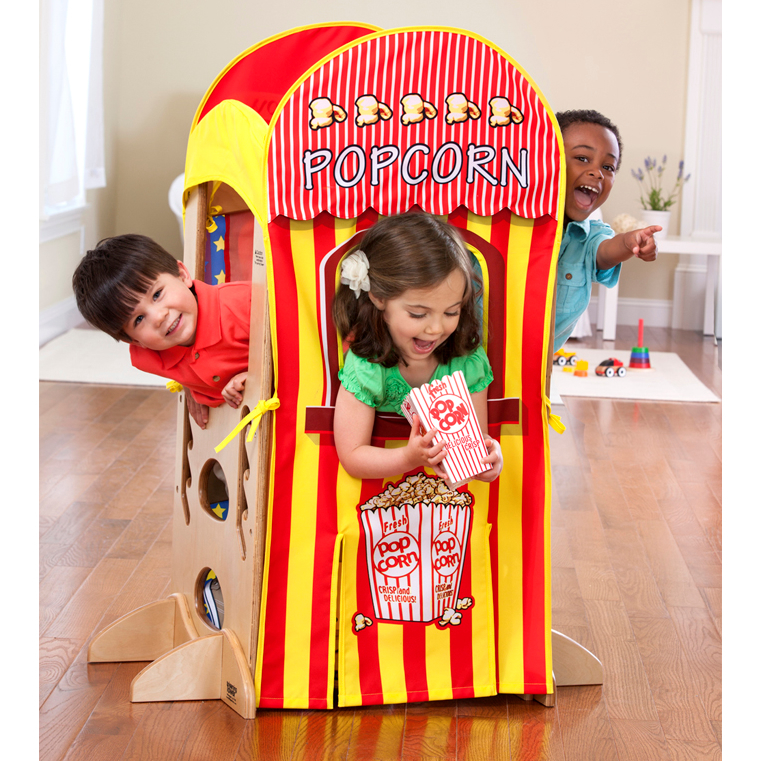 This wonderful playhouse kit comes with an easy attachable roof, red curtain and four different triangular signs which will transform your The Learning Tower into so much more!